glo Beauty Blog | Makeup How-to's & Skincare Tips: glotherapeutics Facebook! "Like" glotherapeutics on Facebook and tell us what glotherapeutics product you just can't live without (and why it's a must-have for you!) 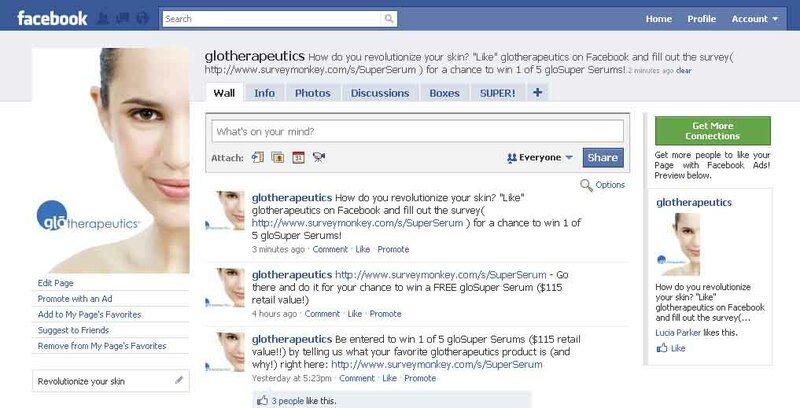 for a chance to win 1 of 5 glo Super Serums! 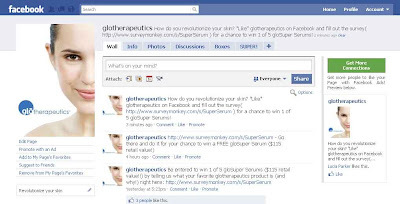 The glotherapeutics Facebook page is a great place to have your product and skin care questions answered. So check us out, your skin will love you for it.